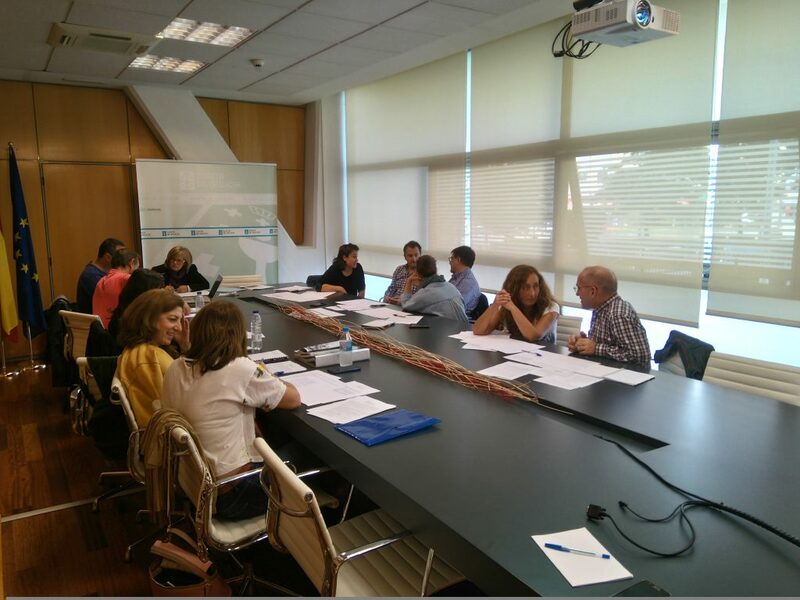 Four round tables in Galicia to draw up the Charter of Sustainability and Action Plan – OpenUpRoutes! The round tables consisting of a set of actions to implement accessibility in the Tourism sector have been promoted by the Agency of Tourism of Galicia within the framework of the project “Santiago, St Benedict Universal Routes, SABER Universal” with the brand Open Up Routes and took place between April and October 2017. The project originates from the call “Supporting Competitive and Sustainable Growth in the Tourism Sector” as a part of COSME European Programme. The activity was coordinated by Combina Social SL, a special employment centre promoted by COGAMI, the Galician Confederation of People with Disabilities. COGAMI is seen as “a consolidated and widely acknowledged association by society in general for its values and leadership in the search of new work methodologies with disabled people”. The programme included four Round Tables organized in Pontevedra, Lugo, La Coruña and Santiago de Compostela, respectively. The main aim of each session was to bring together a minimum of fifteen people such as representatives of entities and/or projects that have been particularly committed to the field of accessibility. The sessions were based on an open discussion between the participants and included a presentation of best practices of 10-15 minutes without a podium and slides. The atmosphere was relaxed with all people seated at the same table and level. As a result of a fruitful discussion and different views, the Charter and Action Plan for an Accessible Tourism was produced. Presentation and dissemination of successful experiences of accessible tourism between professionals. 2 Feedback about difficulties arisen in the sector and kind of support required. 3 Development of training opportunities for spontaneous groups to actively cooperate. 4 Communication and dissemination of solutions that the Agency of Tourism of Galicia can contribute to the demands put forward according to its portfolio of present services. 5 Communication and dissemination of solutions that associations of disabled people can contribute to from their end-user perspective. 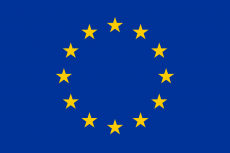 6 Summarize the above information into two final documents – Charter and Action Plan – to be used as a landmark for accessible tourism within the European Union, in particular referred to walking and pilgrimage routes. Among the best practices that have emerged in the Round Tables, it is worth mentioning the “Archeological Park of Rock Art at Campo Lameiro, an area turned into a museum according to the parameters of universal accessibility, orientation and understanding”; the “Museum Network”, accessible spaces in the museums at provincial level featuring guided visits customized for people with a sensory and cognitive impairment; the “Royal Sailing Club of Ribadeo” featuring a sailing programme and first sailing experience on board of the Laión”. The Action Plan identifies obstacles and critical elements as well as the relevant measures that the concerned stakeholders can undertake to improve accessibility along pilgrimage routes such as the Way of St James and the Way of St Benedict. 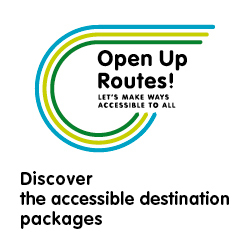 The final documents set forth for both routes are available on the project website at openuproutes.eu. Free Wheels Onlus will be at “Fa’ La Cosa Giusta 2018” to present the Way of St Benedict, a project developed under OpenUpRoutes! Exhibitions in which the OpenUpRoutes project was presented!